Over a hundred years ago, thousands of barns across America were built with such care and quality craftsmanship that they can still be seen today if you were to take a drive down a rural road in nearly any state. These beautiful barns which were once an integral part of American life, are unfortunately in many cases, no longer needed and are being torn down and discarded. 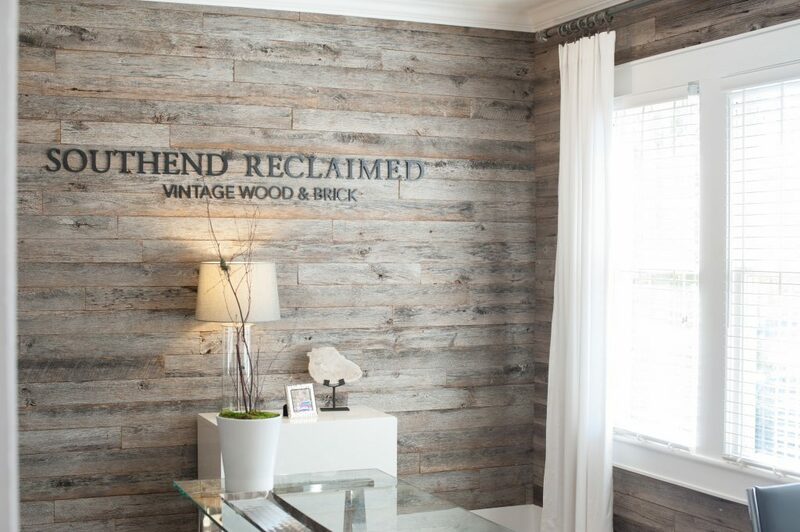 Never one to let history make its way into a landfill, Southend Reclaimed has salvaged millions of board feet of reclaimed barnwood through the years that have ended up in homes, offices and retail spaces across the country. 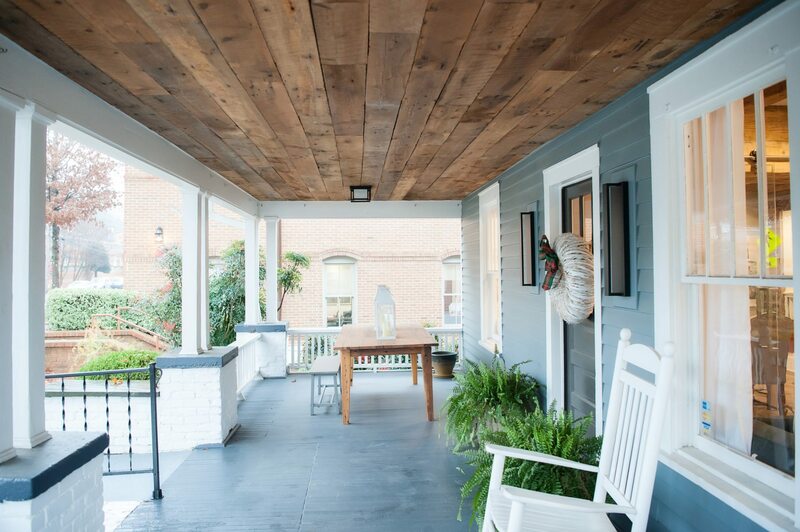 Our Antique Barnwood is carefully removed from old barns and then re-milled on the underside and edges leaving the original face untouched. These weathered planks display a natural, warm textured surface often with original circular saw marks still visible on their faces. Brown Barnsiding taken from the interior of barns has been sheltered from sun and weathering over the decades, but has a beautiful patina and brown coloring along with original saw marks, nail holes and wormholes. 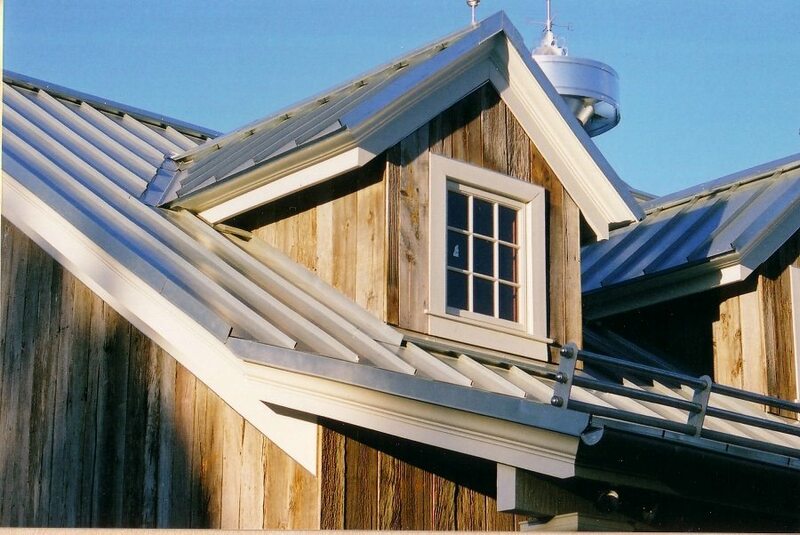 Grey Barnsiding is taken from the exterior of barns and has a natural, weathered patina from years of exposure to rain, wind, sun and other elements. 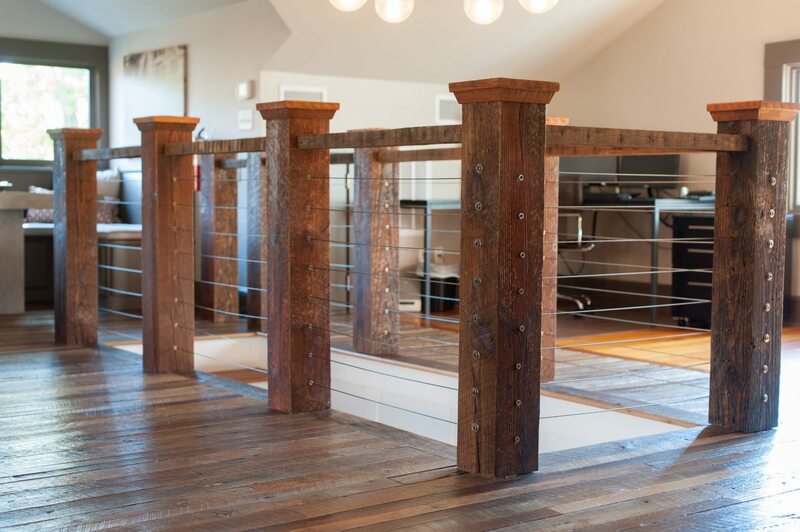 We make many types of flooring from Antique barnwood. 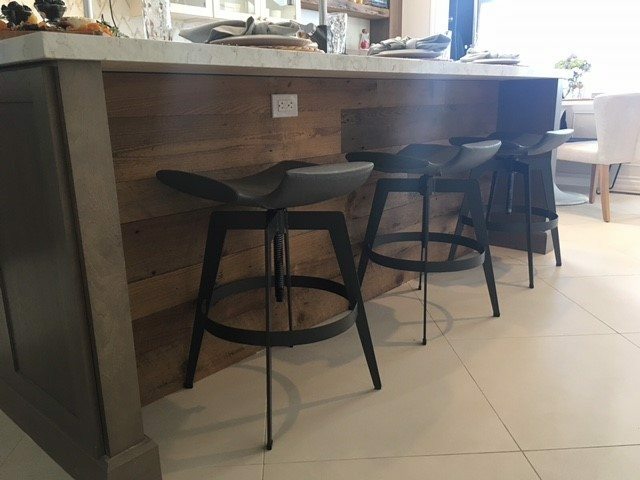 Pictured here is our Original Face Mixed Species Barn Plank Flooring – made up of a combination of species reclaimed from barns. 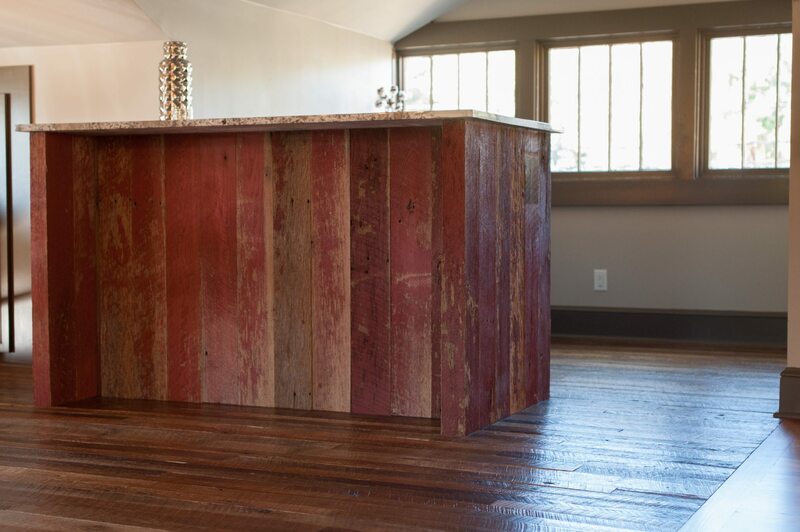 This floor is rich with character with the original saw marks preserved along with nail holes and surface checking. Red painted barnsiding with centuries of weathering paired with granite countertops create a unique, modern bar space. Sneak Peek! 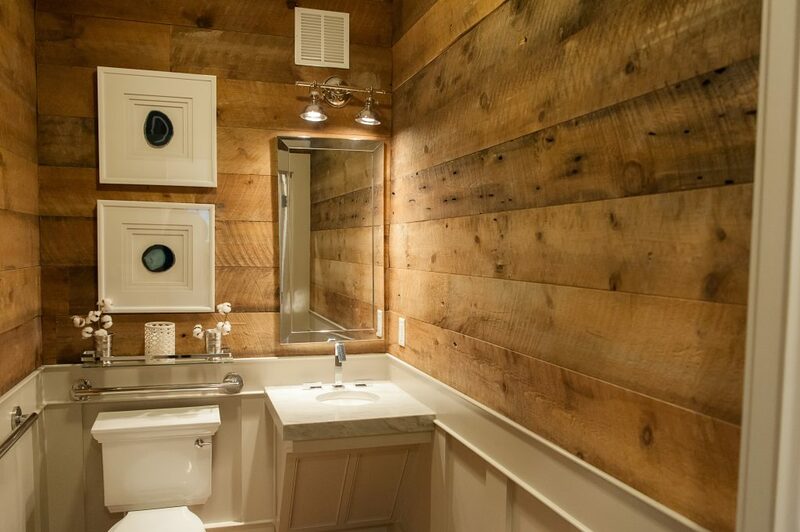 Southend Reclaimed Brown Barnsiding has just been featured on ANOTHER episode of Property Brothers: Buying and Selling! Connect with us on Facebook and join our mailing list for more updates and information about this upcoming episode!